Starting a vegetable garden can be both exciting and intimidating, particularly if you've never attempted to grow your own food before. Anyone can grow vegetables, however, even if they have just a small amount of yard or balcony space. Getting started is quite simple. The most important aspect of starting a vegetable garden is selecting the best possible location for it. The general rule of thumb is that a vegetable garden must be in a location that receives a minimum of six full hours of direct sunlight each day. In reality, that rule is adjustable based on your growing geography and the types of vegetables you plan to have in your garden. Leafy greens, for instance, can grow in filtered sunlight or light shade. Plants that produce actual fruit, however, require bright light. Full sunlight is recommended, but bright reflected light works as well. Geography is important because sunlight is stronger in some locations of the country than in others. Six full hours of sunlight in Arizona in July can kill many vegetable plants yet be barely strong enough for plants to produce fruit in an area where the sunlight is weaker, such as Michigan. The basic supplies needed to start your vegetable garden include seeds and/or starter plants. 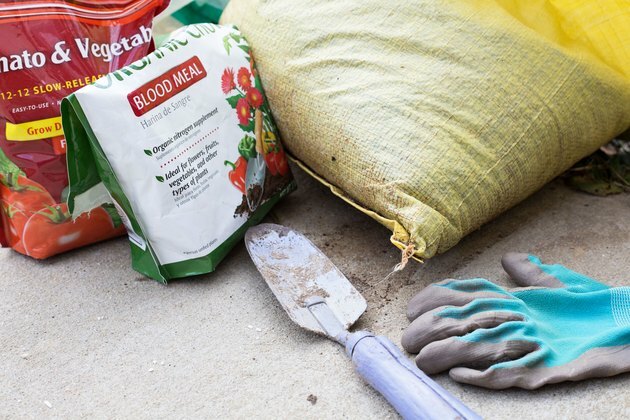 Compost is recommended because it helps a garden get the best start possible, and it may negate the need for plant food, or fertilizer, during the growing season. Purchasing vegetable seeds is the most economical way to begin, but some vegetables take a very long time to produce when grown from seeds. Many varieties of tomato plants (Solanum lycopersicum ), for instance, need five months of growth before their fruit can be harvested. If your location's growing season does not last very long, then purchase starter seedlings instead of seeds. 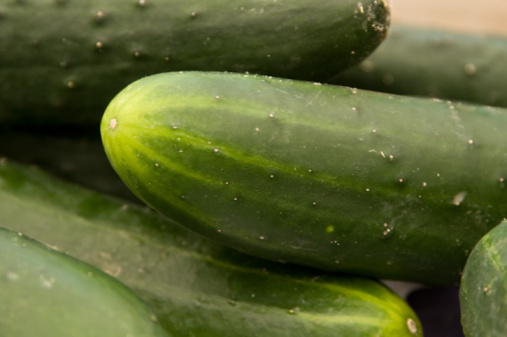 In the United States, most vegetables are grown during the warm summer months. That means you do not need to prepare your planting area until all danger of frost has passed and the ground is not too frozen or wet to be worked. A vegetable garden site can be prepared in one of several ways, and opinions vary about which way is the best. Two popular methods are double digging and creating a raised bed. Double digging a garden area involves a lot of upfront, physical labor while creating a raised bed can be as simple as laying several inches of compost. Both methods have the same goal, however: Create a garden bed that has loose, fertile soil that is free of weeds, rock and other debris. 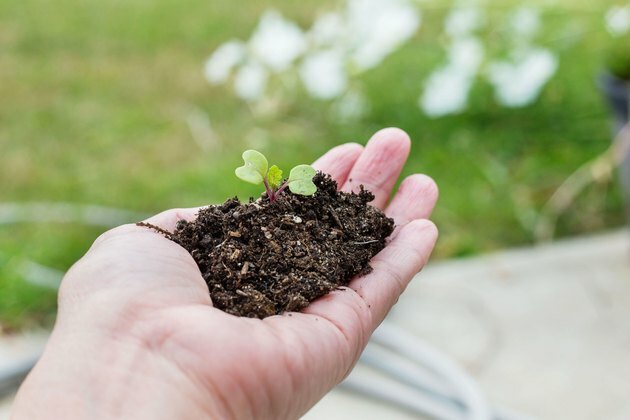 In order to accomplish that with the double-digging method, dig at least two shovelfuls deep into the ground, and mix fertilizer and compost with the soil as you proceed. If you want to use the raised-bed method instead, then spread at least a 6-inch-deep layer of a soil and compost mixture on top of the ground where you want the vegetable garden to grow. Creating border walls around the garden bed by using rocks, logs or boards keeps the site neat and contained. Small vegetable gardens are often planted in squares so that everything in them is easily accessible from around the squares' edges. Large gardens are planted in rows to make their planting and ongoing maintenance efficient. Choose your layout method, and mark the squares or rows with string and stakes. For row planting, put your seeds or starter seedlings into the soil at the recommended spacing distance noted on the seed packets or plant care tags. If you'd like to plant in squares, add the plant spacing and row spacing amounts, and then divide the result by two. 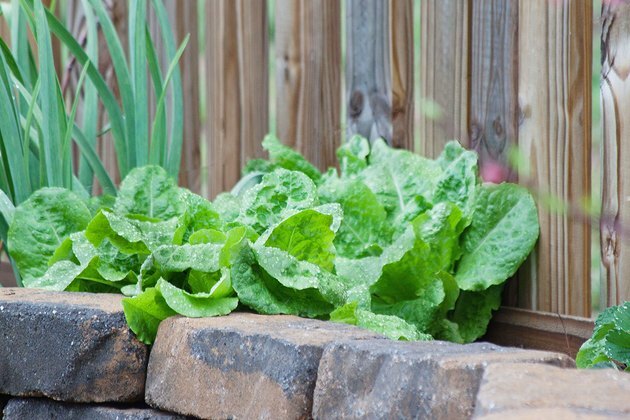 For example, leaf lettuce plants (Lactuca sativa) are planted 6 inches apart in rows that are 18 inches apart, and so they can be planted 12 inches from each other in a square layout. Gently water the newly planted soil to ensure it packs firmly around the seeds or starter seedlings. 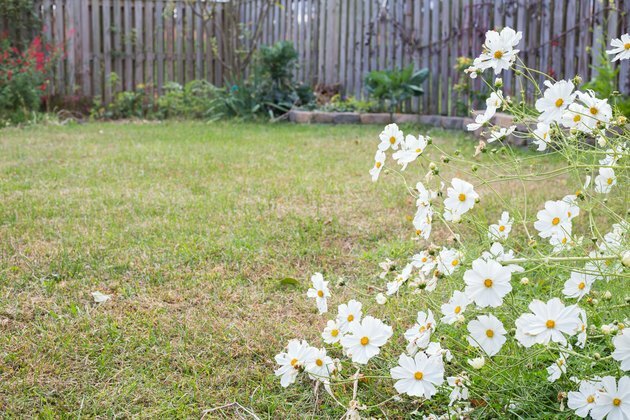 A vegetable garden thrives with ongoing care, which usually consists of adding water and removing weeds. Water your garden once each week if it has not received any rain. Press your finger 1 inch into the soil to determine whether or not it needs water. When the top 1 inch of soil is dry, that is an indicator that it needs water. 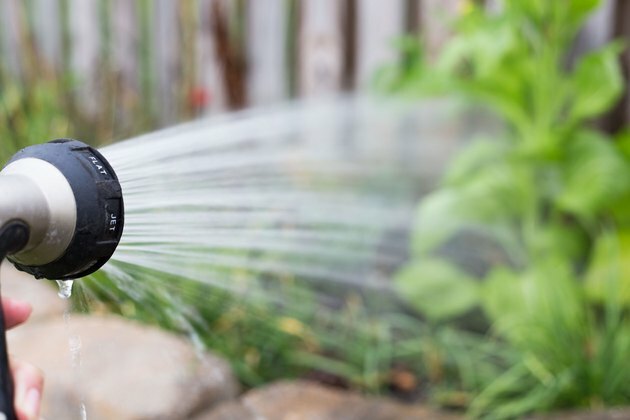 Add enough water to moisten the soil to at least a 6-inch depth.. By ensuring that the moisture goes 6 inches deep or farther, you'll encourage stronger root growth from your plants. 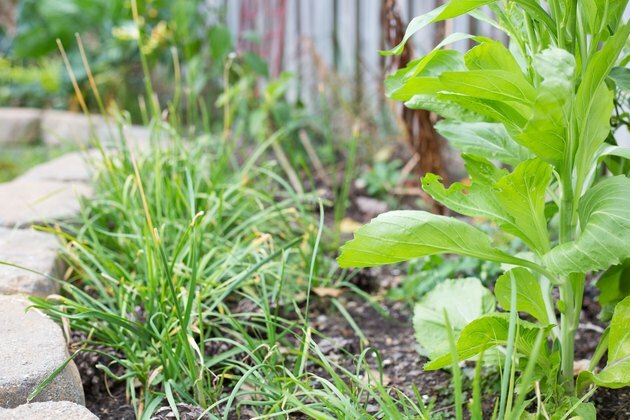 Remove weeds from your vegetable garden so that they do not take water and nutrients from the soil that your vegetables need. 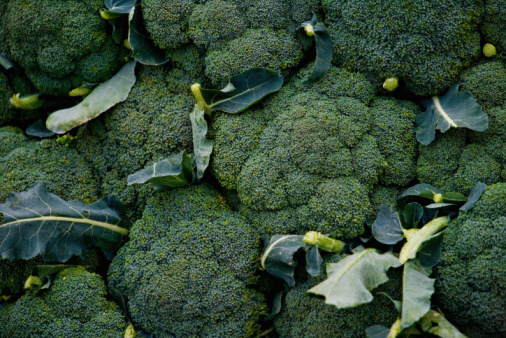 Some kinds of vegetables may need additional fertilizer part way through the growing period. Because these needs vary greatly, refer to specific instructions for your plants.